Mr Green is a Swedish well-known online casino that grew in popularity significantly over the past few years among UK players. It belongs to Mr Green & Co AB and it offers a wide range of online games which are powered by leading software suppliers. This is the reason why their graphics and audio are so fascinating that they manage to provide players with a gaming experience which they have never been able to get before. Moreover, they are also able to play a number of live dealer games which evoke in them feelings such as excitement and delight as if they were playing in a brick and mortar casino. The user-friendly website is another impressive aspect of the online casino thanks to which players are able to find their favourite games instantly. Mr Green has won a number of awards, among which an accolade for an online casino operator of the year for three consecutive years. All of these achievements are indicative that the online casino has successfully managed to provide its online users with the best possible gaming experience. 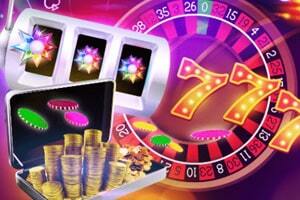 Players can be sure that whenever they play in this online casino, they will be valued and treated with respect. 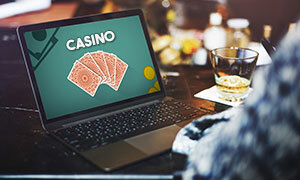 This online casino is a fully licensed one and as such, it gives them the needed peace of mind that their personal information and data will be highly protected all the time. Mr Green & Co AB was founded in 2012, however, it has been present on the Swedish market since 2008. The minimum deposit is set to €10 and the minimum withdrawal is €30. 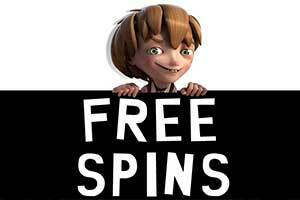 Mr Green offers its players many no deposit bonuses such as Mr Green Casino 10 free spins bonus, 200 free spins bonus and others. It is recommended if they visit its website in order to find the current no deposit bonuses and special events due to the fact that they are exclusive and change with time. 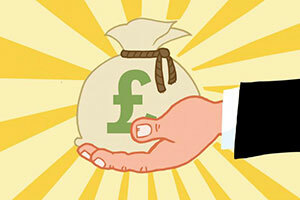 The welcome bonus, that Mr Green offers, consists of a matched bonus that is up to £100 on their first deposit. Also, new players have the chance to take advantage of 200 bonus spins and in order to do so, they are required to deposit and bet at least £20. The first 100 spins will be available instantly, whereas the next 100 will be released on a daily basis – 5 at a time. The regular bonuses at Mr Green give players the chance to win great prizes such as tickets, trips and real cash. This type of campaigns change frequently and thus, it is best if players check the promotions of the online casino and find out what it has in store for them. The loyalty programme at Mr Green is known as The Green Elevator. Whenever players play at this online casino they are rewarded for doing so by getting loyalty points. Another way, they can get such special points is to win tournaments or simply sign in into their casino account. Everyone can join this programme and take advantage of the benefits it offers. Also, the online casino draws ten random players on a weekly basis who get an exclusive bonus. The online games at Mr Green are powered by many of the leading software suppliers including NetEnt, Evolution Gaming, IGT, Play ‘n Go and others. Some of the popular jackpots the online casino offers are Empire Fortune, Mr Vegas, Texas Hold’em Bonus, Holmes and the Stolen Stones and others. Mr Green gives its players the chance to choose from a number of different games – video slots, live dealer games, jackpot games, table games, Mr Green’s Fruity Fun Slots and others. Mr Green offers a wide range of live games which players can enjoy in real time with a professional live dealer. Some of them include Mr Green Live Roulette, Live VIP Blackjack, Live Baccarat, Live Blackjack Party, Live Caribbean Stud Poker, Live Immersive Roulette and others. Players have the chance to access the online games conveniently from their mobile phone or tablet as its website is fully mobile responsive. They can also download the available application for both Android and iOS mobile devices for even easier navigation and better gaming experience. The online casino offers players a number of payment methods thanks to which they can make deposits instantly and safely. Some of them are Trustly, Visa, Mastercard, Skrill, Paysafecard, Instadebit and others. 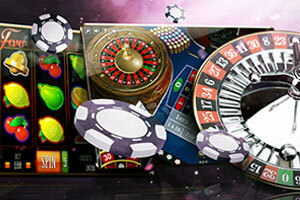 The online casino supports the following currencies: GBP, EUR, USD and others. It is worth mentioning that once players open an account, they are not able to change the currency due to the fact that it has been set in accordance with the country they reside in. The website of the online casino is available in English, German, Dutch, Polish, Swedish, Norwegian and other languages. Players can get support via phone, email or live chat. Should they have any concerns, they can simply call 4166238490. The call centre operates 24/7 which brings the needed peace of mind that it is possible to get in touch with a customer service representative at any time. Players can also receive assistance by sending an email to customerservice-canada@mrgreen.com. Mr Green is a fully licensed online casino and it is regulated by the UK Gambling Commission and by Malta Gaming Authority. Mr Green is an experienced online gambling provider that has been in operation since 2008. As such, it offers its customers a wealth of superior gaming options they can choose from. 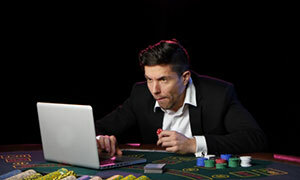 The games are available for in-browser play but the casino is also responsive on a wide range of smartphones and tablets, utilizing the iOS or Android. The operator may have ten years of experience behind its back but it demonstrates a modern approach towards online gaming. It features a well-categorised library of games that furthers easy navigation no matter what you are looking for. When you click on a game’s thumbnail, it will ask you to choose between real-money and free play. This is not the case with some other gambling operators that require you to register just to see the available games let alone allow you to play in practice mode. Mr Green’s website is full of surprises that come in the form of exciting slots with plenty of cool features, authentic table games, profitable video poker variants, humongous progressive jackpots, and a section, dedicated specifically to live-dealer play. The games come straight from the portfolios of some the best casino software suppliers in the world, including Microgaming, Pragmatic Play, NetEnt, IGT, Yggdrasil, Blueprint, Play’n GO, Quickspin, and Evolution Gaming. Slots are the pillars of any online casino and Mr Green is not an exception. 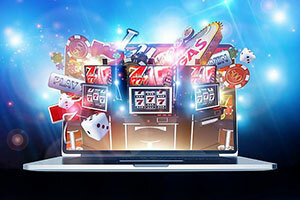 The experienced gambling operator hosts a myriad of thrilling video slots, with a strong presence from developer NetEnt, which is understandable considering the fact it is one of the best suppliers of casino software in the industry. The Swedish developer has got Mr Green’s customers covered with some of the best slot titles it has released to this date. One simply cannot go wrong by choosing NetEnt reel classics like Starburst, Gonzo’s Quest, Dead or Alive, Divine Fortune, Jack Hammer, and Jack and the Beanstalk. All of these are visually superior and would leave you wanting for more. Microgaming is another software supplier whose strong presence is evident all over Mr Green’s slot library, especially in the jackpot section where you can find iconic progressives like Mega Moolah. Other than that, Mr Green has also added to its portfolio some legendary titles from Microgaming’s suite. Some of these must-tries include the vampire/love-story-based slot Immortal Romance, George R.R. Martin’s-inspired Game of Thrones, the Viking-themed Thunderstruck, and the humorous Hot as Hades, to list only some of the titles deserving of a mention. 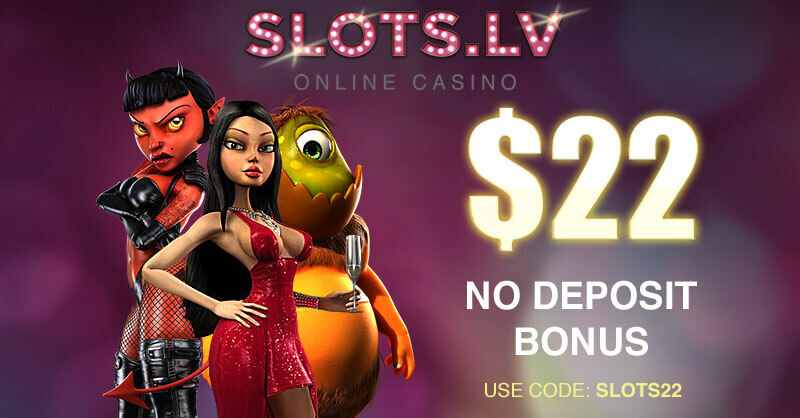 All of the above-listed slots will floor you with their enticing gameplay and great visual presentation. The roulette variations are all listed under the Table Games tab and we assure you there are enough options to cover the preferences of all fans of the legendary game. Mr Green provides you with the opportunity to win yourself a nice prize in the usual games of European or American Roulette, but there are several other varieties that are of greater interest. The first of those is Double Ball Roulette, a unique game developed by supplier Felt, where winners are awarded a payout of 1,200 to 1 if both balls land on the same individual number. Mr Green customers who seek a one-of-a-kind roulette experience most definitely should try Double Bonus Spin Roulette, which features an extra-wide yellow pocket that awards additional payouts each time the ball settles in it. You worry your bank is not big enough to play roulette at Mr Green? 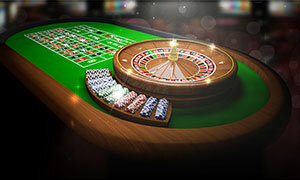 There is no need to – the operator caters to roulette players from all persuasions with one version of 20p Roulette, where you can wager only £0.20 on inside bets like straights, splits, and corners. Other must-try roulette variations at Mr Green we would like to recommend are Super Monopoly Roulette, Expert Roulette, and Multi-Player Roulette. Those of you who are enthusiastic about the game of 21 will find a nice selection of blackjack variations at Mr Green. These are again featured in the Table Games section and are supplied by leading names such as NetEnt and Microgaming. NetEnt, in particular, has provided the operator with four classic variations of the popular game from its Professional Blackjack series. One of the variations is more likely to appeal to high rollers at Mr Green since it offers an increased maximum table limit of £2,500 per hand. Playing Double Exposure where both cards of the virtual dealer are exposed is also an alternative at Mr Green. Microgaming has contributed to the casino’s collection with several titles from its Gold Series. Some of the more extraordinary variations are courtesy of less popular suppliers like Relax Gaming and 1×2 Gaming but do not be too quick to label this as a disadvantage. It is the other way around since these games are a rarity. At Mr. Green, however, you have the chance to engage in games like Buster Blackjack, Lucky Ladies Blackjack, and Suit’em Up Blackjack. If side bets are your thing, we suggest you go straight for Felt’s 6 in 1 Blackjack where all side wagers available in the above-listed games are combined into a single blackjack variation. We found one of the variants at Mr Green especially compelling and an absolute must-try for any blackjack maven deserving of that name. The game in question is called Blackjack Players’ Choice and is interesting in that it gives you the option to choose your cards along with those of the dealer from the five hands that are dealt face-down at the table. However, the game puts you at a slight disadvantage because you have half of your stake forfeited when you tie with the dealer. Other variants of 21 that are worthy of a mention include Perfect Pairs and Blackjack Neo which provides you with suggestions on how to play out your hand. 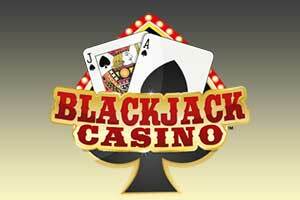 Video poker is also present on Mr Green’s list of exciting games and is offered in several distinct variations, the most prominent of which is Jacks or Better. One variation is designed by NetEnt and enables you to play one hand at a time or bet on 5, 10 or 25 hands concurrently. The second Jacks or Better variation comes from supplier IGT and is more interesting since it features an optional side bet on a wheel spin where you need to match three colours to get a multiplier on your winning hands. The side bet here is quite hefty at £4, though, so we suggest you deactivate the feature if your bankroll does not allow for so much action. Both Jacks or Better variants are full-pay. All American and Joker Wild are also on offer, with both variations being developed by NetEnt, which means you can play them in multi-line format and double up your wins on qualifying hands. Other than that, video poker fans at Mr Green have a choice from several IGT creations, such as Double Bonus Poker and Triple Play Draw Poker. Mr Green truly shines when it comes to progressive jackpot games. Its website houses more than 40 titles with jackpots so the last thing you can complain about is lacking options in this category. This is a colourful array of games developed by different suppliers. The biggest prizes are awarded in the games designed by NetEnt and Microgaming, so if you are looking to win a huge amount of money, we advise you to try progressive slots like Mega Moolah, Cosmic Fortune, Arabian Nights, and Mega Fortune. Some of these jackpots are tiered and award several big prizes. Software supplier IGT also has a strong presence in Mr Green’s jackpot section. Its progressive games are easy to distinguish from all the rest as they are all marked with the Mega Jackpots logo, with some of the most popular options among them being Isle O’Plenty, Cleopatra, Wolf Run, and Siberian Storm. The cool thing about Mr Green is that it gives casino fans the opportunity to pocket a life-changing prize in games other than video slots. Some of the table games also feature progressive jackpots. Such is the case with Felt’s version of Caribbean Stud where the pot frequently escalates to five-figure sums. Mr Green’s live casino product is a major drawing attraction for many customers. The games you can find there are unlike the remainder of the portfolio because they involve flesh-and-blood people who are dealing cards to you or are tossing the small ball on the roulette wheels. This ensures a hyper-realistic experience for Mr Green customers who take a seat at the live tables, which are set in an authentic environment that is a replica of the card rooms in brick-and-mortar casinos. You will be serviced by approachable and competent dealers who know how to make you feel special. The streams of the betting action come straight from the studios of NetEnt and Evolution Gaming. Mr Green players also have a choice of tables where the live action is streamed from the lavish floors of gambling venues like Foxwoods Casino in the USA, the Hippodrome in London, and Dragonara Casino in Malta. Do not worry if this is your first time playing in a live casino. At Mr Green, the interface of the live lobby makes it quite easy for you to browse through the open tables, join fellow players in a game, and have some fun. There are over 40 tables you can join for some live action at Mr Green but we personally found Immersive Roulette, Speed Baccarat, Live Sports Roulette, Live Fiesta Blackjack, and Live Casino Hold’em the most exciting ones. How can players take advantage of the welcome bonus? It is very easy for new players to take advantage of the welcome bonus which will significantly improve their online gaming experience. In order to do that, they have to open an account and make a deposit into it. There is no need for any additional procedures as the welcome bonus will be added by default. If this is not the case, it is best to get in touch with a representative of the customer support team. Does Mr Green offer any tournaments? Yes, it does. Occasionally players have the chance to take part in massive events where they can win some wonderful prizes. Thanks to these organised tournaments, it is possible to compete against a fellow player and have even more fun. More information about Slot tournaments as well as other special events can be found on the casino’s website. What are the security measures at Mr Green online casino? Mr Green takes great responsibility when it comes to providing its players’ sensitive information with high level of protection. This is the reason why it takes a number of security measures and it incorporates cutting edge systems in order to achieve this result. For instance, one such a measure is that players are asked to provide a proof of their identity which helps the prevention of identity fraud. How long does it take to change the gaming limits? Players can lower their set gaming limit instantly as the changes they will make will come into effect within a few minutes. However, in case that they would like to completely remove it or increase it, they will have to give their authorisation once again after a period of 24 hours. Once confirmed, the new limit will be active from next week or month, depending on the day it was requested. I’m really satisfied with my experience at Mr. Green Casino and how I was treated by the customer service. They are very polite and nice, which cannot be seen everywhere these days. I open the games instantly without installing anything on my computer. All games, even those in the live casino lobby, load without problems and run with no delays or glitches. In fact, I mostly play live dealer games, as well as several slots – Jurassic World, Jack and the Beanstalk, and my favourite, Gemix. I also never forget to try my luck at Mega Moolah which has the biggest jackpot. Overall, the casino is very good, safe, and reliable. I cannot comment on the bonuses, I never bothered with any of them, because I know there are certain wagering requirements. Almost everything about Mr. Green Casino is great, including the collection of games, the lovely support teams, the modern site. 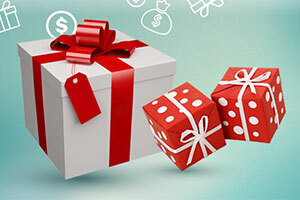 The bonuses are also quite attractive and there are various promotional campaigns you can benefit from. In fact, this casino has won an awfully large amount of awards during the years and has an impeccable reputation. The odd thing is that the casino charges a 2,5% fee for every deposit made with a credit or a debit card. 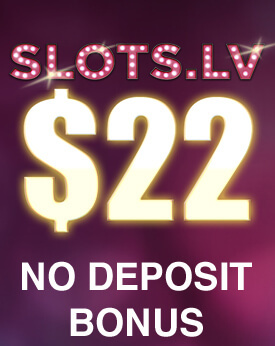 While this isn’t much at first glance, it actually creates a really bad impression, because most online casinos actually process deposits entirely free of charge. And why Mr. Green do impose a fee is incomprehensible to me, but they should consider changing their policy. This is one of the best looking and best performing online casinos I’ve ever played at. It loads instantly, the games work perfectly, and the mobile app for Android is fantastic. I guess the application for iOS is just as fast and smooth, but I wouldn’t know. Registering at the casino is very easy, the deposits are instant while withdrawing to my debit card usually take up to 3-4 days. The variety of games is truly impressive, but my favourite section of the site is probably the slots, followed by the blackjack category. The welcome bonus is fine, although it’s not anything special or exclusive. The casino doubled my first deposit and then gave me 100 free spins on Starburst. However, it was really hard to meet the 35x wagering requirement for both the bonus and the winnings from the free spins. I saw this casino only a few months ago and I decided to register because it looked just amazing. The site is fantastic and has a huge gaming library provided by NetEnt, NextGen, Microgaming, Playtech, and many other big developers. The payment system is convenient and payouts are processed in a speedy manner. Another huge plus of this online casino is the customer support, which is extremely professional and helpful, at least in this one instance when I had issues with my withdrawal. It turned out that my documents had to be reviewed by the casino so that my account can be verified before I can cash out. The support staff helped me out and during this whole time, they were really polite and friendly. I just wish the casino changes its policy and request verification before players deposit – it will be much more honest and time-saving. Mr. Green is a stylish, instant-play casino which offers hundreds of online slots, table games, video poker, as well as live dealer games and sports betting. This is the best designed online casino I’ve ever seen, it’s really sleek and glamorous, so playing here is very enjoyable and makes you feel like you are a VIP member all the time. In fact, the casino has a nice VIP Lounge, where members receive exclusive offers and promotions, as well as raffles where you can win a concert ticket or a trip to the Champions League Final, for instance. Of course, the casino is perfectly safe and legitimate, payouts are reliable and fast, but probably the best thing about Mr. Green is the bonus system – there are regular promotions and special events with plenty of exciting rewards.